Words by Kevin Doocey on June 6, 2014 . It is not often that a Ligue 1 winning captain would turn down Champions League football to aid a battle against Premier League relegation with Newcastle United. 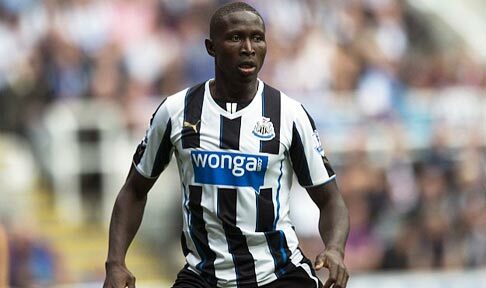 However, that is exactly what Mapou Yanga-Mbiwa did when he left Montpellier to join the Toon. In a reported £8.5m move, the 25 year-old signed the dotted line on a cold January afternoon at Benton with the hope of becoming a leading star in Newcastle’s back four. 37 appearances later, manager Alan Pardew is looking offload France international for a reduced fee with plenty of French clubs eager to take him. Of course such a defender would have plenty of suitors - after all, he captained a league winning side, has represented France on 3 occasions to date, and likely has his best years as a defender in front of him. The intent on behalf of NUFC to rid themselves of Mbiwa - who is well reported to be an absolute professional both on and off the pitch - is alarming to say the least. Such a case would be less worrying if Yanga-Mbiwa had a terrible time since joining, but that is not true, because sadly, Mapou has had little chance to show his worth in a Newcastle United shirt. When he has played, it has often been out of position - a recurring theme with Mr. Pardew. However, when placed at centre-back, Mbiwa has been sublime . Performances against Chelsea and indeed Tottenham last season showed why Mike Ashley had indeed dished out his biggest fee on a player since the arrival of Fabricio Coloccini. There is no doubting that the Frenchman has looked a little frail at times, but he needs/needed time to settle in the Premier League. Only regular games will ensure this, something that has no happened. It can be easy to blame a player for failing to adapt to the English way after a big money move, but the truth is, the coaches at Newcastle United have a lot to answer as well. It is their job to ensure a smooth transition from foreign football to the Premier League. Obviously, this has no happened - and the defensive coaches, alongside Pardew deserve blame. As with both sides of the argument, there is only so much a player can do to adjust on his own. For anyone who follows me on Twitter, they will know that I think the idea of selling Yanga-Mbiwa is a complete joke. The manager should have gone a long time before an exit for Mapou had ever been considered. There is no way that the 25 year-old has transformed from a league winning captain to a bang average defender. The fact that a cash-strapped Marseille have enquired about his availability says it all. Worrying is just one word for this debacle. P.S - If you’re collecting the infamous World Cup stickers this year, then I advise you to enterTyne Time’s competition. 3 prizes to hand-out, including a generous offering for the winner. Make sure to enter. You obviously haven't seen this lad play, he is way out of his depth in the prem. I think you pretty much hit the nail on the head with part of your comment - I haven't seen the lad play enough, that's the biggest problem in this saga! Big difference between colo at the beginning and mbiwa. Why do people think they know more than the professionals who watch him train day in, day out? Unfortunately the lad lacks a vital ingredient for a defender - he cannot head the ball ! still think he's a keeper, colo isnt getting any younger and taylor seems like he's on his way out. Surely the lad can improve....!